Thales Romania, local subsidiary of the French designer and builder of electrical systems and provider of services for the aerospace, defence, transportation and security markets, has leased 5,300 sq m in Orhideea Towers office complex developed by CA Immo in Bucharest. Experts from JLL represented Thales during the processes of searching for the most convenient options and the negotiation of lease terms. “The company has choosen to stay with the same landlord, meaning that after almost 10 years spent in Riverplace, Orhideea has been selected, as offers work conditions and environment perfectly suitable with current employees need and requires. Orhideea Towers, one of the newest office scheme in Bucharest, offers an excellent location and address the latest trends and needs of the new generation of workers”, comments Maria Florea, head of Office Agency JLL Romania. The West Center area of ​​Bucharest, where Thales will move their office, attracted nearly one-third of the office space demand registered in the first nine months of this year, being one of the most popular destinations for companies. ”Thales’s relocation at Orhideea Towers confirms two most important trends in the Romanian office market. First, employers are increasingly concerned about the needs of new generations of employees and are looking to assure them the best working conditions. 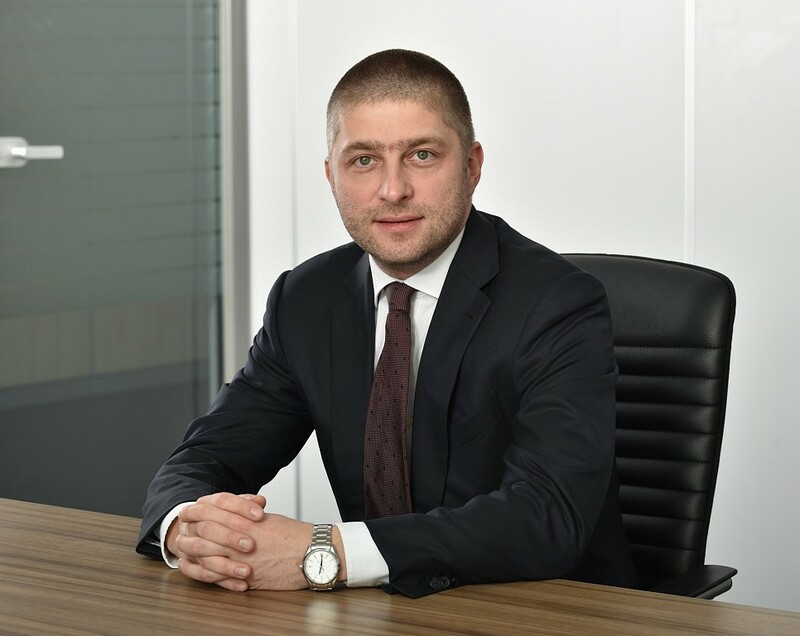 Second, the office buildings in the Center-West part of Bucharest continue to draw the most important tenants as they are offering favourable terms of lease and a better transport infrastructure”, said Viorel Opaiț, business development director JLL Romania. Company’s Romanian headquarters will be moved in Orhideea Towers in December 2018 from Riverplace (Riverview House). Company employs over 300 specialists in the country and the target is to double the number in the next five years. “Thales Romania is not just growing fast, but is also gaining a central role within the Thales group. We need a working space that stimulates creativity and networking, which is adapted to the young professional’s expectations. This is very much in our philosophy in that people need a comfortable and friendly working environment. We were ably assisted by real estate professionals JLL, in securing our new Headquarters at Orhideea Towers which meets all our particular requirements. The new premises are spacious, ideally located near the City’s center, easily accessible and featuring all the modern day amenities. We are looking forward to welcoming you to our new offices”, said Silviu Agapi, CEO Thales Romania. Orhideea Towers is located in the new emerging central-western business district of Bucharest, being dedicated to dynamic companies and their people. The project has a total gross leasable area of 37,000 square meters. The two H-shaped towers, are linked together by a bridge hidden behind a glass façade. ”The concept of our project, Orhideea Towers, has targeted tenants’ nowadays requirements, offering large and versatile office premises, being generously natural illuminated, due to its unique architectural solution. We are honoured to continue the partnership with Thales Romania, wishing that Orhideea’s features to offer best support to their future business development”, said Marian Roman, Managing Director of CA IMMO Real Estate Management Romania. Thales has been active in Romania for 40 years and has developed its industrial operations in the country since 2007. Initially the company was a supplier to the Romanian armed forces. Over the last ten years or so, the Group has also become a major player in the Romanian rail transport industry and now operates a mainline rail Competence Centre employing 200 software engineers. Today, Thales is continuing to address the country’s transport needs while expanding its areas of focus to include defence and security, science and technology, as well as aviation and space. CA Immo specialises in office properties in Central European capitals. The company was founded in 1987 and operates today in the core markets of Austria, Germany, Poland, Hungary, Czech Republic and Romania. CA Immo is listed on the Vienna Stock Exchange and included in the ATX index and holds property assets of around € 4.3 billion. The Bucharest asset portfolio, which accounted for approximately 7% of the total portfolio of CA Immo as at 31 December 2017, consists of four office buildings as well as the Orhideea office development in Bucharest. The book value of the investment portfolio comprising around 106,000 sqm was approximately € 260 m as at 31 December 2017, the occupancy rate stood at 95.4%.